The Ahrend showroom ... trendy. 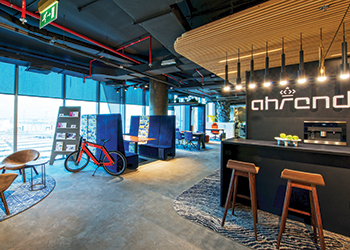 With sustainability being the hallmark of Summertown Interiors, the interiors fit-out firm has ensured that Ahrend’s new Dubai office is trendy and activity based, while reflecting its ethos. 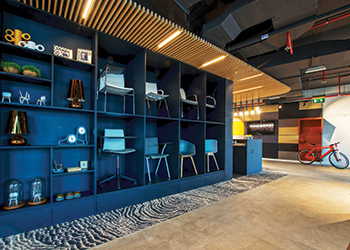 When Ahrend, a global leader in office furniture, wanted to expand its office, it was seeking a look that would serve as a testament for its successful growth in the region. 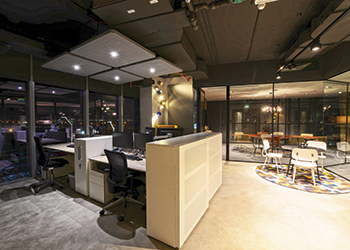 So it turned to Summertown Interiors, a leading UAE fit-out contractor specialising in green interiors, to deliver a fit-out solution that integrates sustainability into its business operations. Ahrend delivers contemporary and highly sustainable office lifestyles to corporate end-users around the world, with its products and interiors designed to encourage the well-being and productivity of people. 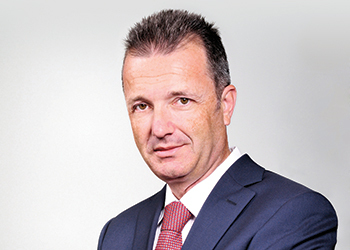 The company operates in more than 25 countries on five continents, including China, Russia and the UAE. Its new 230-sq-m showroom is located in the world’s first Dutch Design Centre in the Dubai Design District (d3) and is part of a series of international launches and showroom refitting projects. Bish ... green interior focus. The Dutch Design Centre is a collaborative hub of leading Dutch design firms and brands, aiming to service clients, designers and architects in the whole of the Gulf region. These include Hunter Douglas, Keller Kitchens, and Skyne Branding & Design, besides Royal Ahrend. An inspiring online and offline platform for the best and latest of Dutch design, the centre coordinates boutique exhibitions, noteworthy keynote speeches, creative workshops and collaborations. This is done in collaboration with the centre’s extensive network of well-reputed Dutch initiatives, designers and creative communities including Dutch Design Foundation, Royal Philips, Randstad Mena and Art Dubai. The showroom is designed to serve as a source of inspiration for architects, designers, real estate consultants and customers. “The project was designed by Ahrend’s in-house team and stringent global guidelines had to be met. Summertown Interiors was selected to work on the project due to its green credentials, having delivered Leadership in Energy and Environmental Design (Leed)-certified interior projects in the UAE,” says Marcos Bish, managing director, Summertown Interiors. Summertown executes many of its projects in line with its own green waste management standards, minimising its environmental impact by recycling construction waste and reusing materials where possible. “As a company that walks the talk, our clients, partners and the business community in general look to us for advice and knowledge when it comes to integrating sustainability into their business operations. From our own experience, the most common mistake companies make when they want to embrace sustainability is having too narrow a vision: setting just a few goals and metrics for measurement, and then following those without looking at the bigger picture,” says Bish. Summertown has produced an urban design For Ahrend, with careful product selection. With that in mind, Summertown made sure that Ahrend’s showroom featured the latest trends in the fit-out design and the attributes of activity-based working spaces. This included six core activity-based solutions – quiet areas, areas to facilitate active communications, private call zones, video conferencing, ‘touch down’ workstations or hot-desking, and informal meeting spaces including a coffee bar which acts as a hub in the workspace. This flexible and open approach has proved to deliver a better employee productivity, a happier workplace and reduced the negative impact on the environment. “An urban design was established by Summertown. This required careful product selection – which will ensure quality and design at the same time, and correct preparation of surfaces and project execution to ensure a quality project delivery. Summertown was successful in delivering the required look and feel while maintaining the quality of the products and materials used in the process,” says Bish. As a live working environment, the project required a precision-led multi-phased approach to ensure continuity of operations for the client. The flow of the work did not disturb workers, as no noisy installations were completed during the usual working hours, so minimum disturbance was established. Bish says the end result was a huge success. The tight delivery schedule of just 12 weeks was achieved within budget. The showroom was opened at the end of last year. The Ahrend showroom is the first of a number of projects that Summertown Interiors is planning to execute in d3. Summertown is committed to delivering projects that meet clients’ needs, on time and within budget and all projects are executed in accordance with the internationally recognised ISO 9001:2008 quality management system. As a result, Summertown is often selected as the preferred fit-out partner for many of the world’s largest project management firms and interior architects.